According to a 2015 survey, 62.7 percent of people in the United States live in the city, despite US cities taking up just 3.5 percent of the total land area. No doubt, living in a city provides plenty of advantages, from dining and entertainment options to proximity to your place of employment. One advantage that it does not provide, however, is easy access to land and natural resources. Should a disaster such as an EMP wipe out our food supply chain, the majority of people living in urban areas will not be able to keep putting food on the table. However, this doesn’t mean everyone living inside the city limits is doomed to starvation the minute the SHTF. 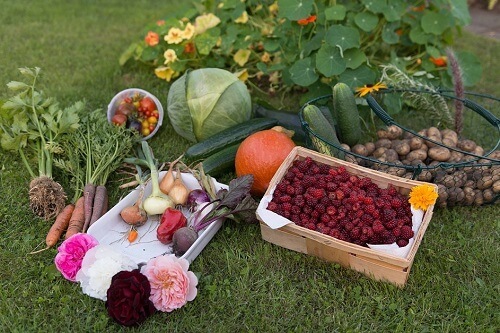 In fact, with a little preparation and the right approach, you can still grow enough food to support yourself and your family until the crisis subsides. If nothing else, you’ll at least be able to supplement your food stockpile with lots of fresh, nutritious fruits and veggies. 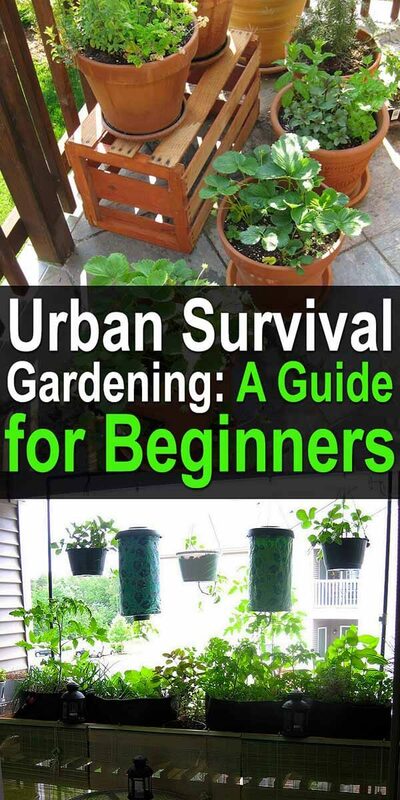 In this guide, we’re going to look at urban survival gardening from start to finish, outlining the preparations you need to take, tips and strategies to consider, and more. Consider this guide the ultimate crash course in growing food for survival no matter how much steel and concrete is surrounding you. The decision to grow an urban survival garden isn’t one you make at a moment’s notice once a disaster has already taken place. At that point, it will be too late to acquire the supplies you’ll need. If you are serious about having the ability to grow your own food in a disaster scenario, you need to start making preparations right away. As we go through this guide, keep in mind that it’s essential that many of these steps be taken before even the threat of disaster looms. 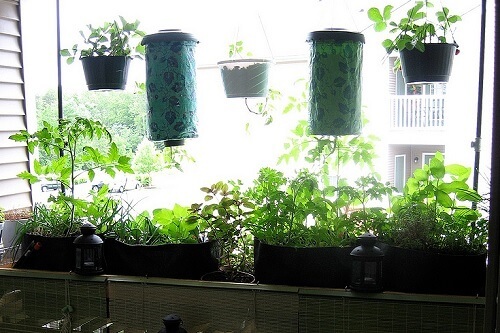 Most urban survivalists looking to plant a garden will be limited to a balcony and possibly a small backyard. Obviously, this isn’t a lot of space, but even if you only have a balcony to work with, you can still grow enough food to survive. In fact, there are many advantages to having a container garden. To start, you’re going to need containers and potting soil. Even if you do have a small backyard to work with, container gardening is still going to be the best way for you to maximize space while still ensuring the quality of your soil. Start by mapping out how much space you have and figuring out how many containers you can fit in that space. The more containers, the better, so get creative about their positioning. Once you’ve determined where your containers will go, make sure to acquire those containers ahead of time. Remember, when and if a disaster wipes out the food supply, everyone in the city is going to be scrambling for supplies, and even simple containers may be hard to come by. Victory 8 Cube Garden Container – The innovative design of the Victory 8 Cube makes it perfect for urban gardeners. This container features modular fabric construction for easy storage. What’s even better, though, is the fact that the roots of the plants are able to grow through the fabric of the container, allowing you to push containers together to create any size and shape of garden that you want. 6 Inch Plastic Planters – For smaller plants, you can’t go wrong with the tried-and-true plastic planter. These 6 inch plastic planters are among the most affordable options available, and they stack together for easy storage. 247Garden Grow Bags – Another great fabric container perfect for urban gardeners, the 247Garden Grow Bags are designed to allow a plant’s roots to breathe in order to encourage healthier growth and a more substantial yield. Another thing you should keep in mind is how visible your garden is to passersby and neighbors. If there are a lot of hungry people out there, then they’re liable to sneak into your garden and take your harvest. Because if this, you should consider hiding your survival garden. Even if you do have a backyard with soil available, digging up dirt to put into your containers may not suffice. Many plants require specific soil to grow well, especially when they are grown in containers, and there’s no guarantee that the soil you have available is going to contain the nutrients your plants need to survive. Instead, the best way to go about preparing to grow your survival garden is to purchase enough bags of potting soil to fill your containers. Start by estimating the total volume of the containers you plan to use, then purchasing enough bags of potting soil to fill them. It’s a good idea to factor in a margin of safety by purchasing a few extra bags in case your estimate is off. The good news is that there are plenty of high-quality potting soils to choose from, and so long as you choose a quality potting soil that is designed for growing plants in containers, you should be all set. For more information on how to choose the right potting soil, check out this article. Gardeners growing plants outside of a disaster scenario have a few advantages that survival gardeners don’t. One of those advantages is the ability to buy and plant young plants instead of seeds. Since you will need to store everything and will need to grow your garden ahead of time, any plant you choose must be able to be easily grown from a seed. This requirement alone will eliminate quite a few options. For example, some plants such as strawberries are quite difficult to grow from seed, requiring you to have access to young plants that have already begun to grow if you want to ensure success. Other important considerations include how long it takes the plant to grow, how difficult it is to grow, and how many calories and nutrients it provides when it is ready to harvest. Beans – Most bean varieties are easy to grow from seed, require only a little space, and provide a lot of calories. However, you will want to choose bush beans as opposed to pole beans as pole beans require more space as well as a structure that they can climb. Some of our favorite beans for growing in a survival garden include Contender green beans, Dixie Butterpea White lima beans, and Navy beans. Carrots – Carrots are easy to grow and require very little above-ground space, making them ideal for a survival garden. A few great carrot varieties to consider include Little Finger, Parmex, and Parisienne. Lettuce – Lettuce grows well in containers and can be grown all year, even during the cold months of winter. This makes it an ideal plant for extending your growing season in spite of the relatively low number of calories that it offers. A few of our favorite lettuce varieties for growing in a survival garden include Lollo Rosso, Tom Thumb, and Salad Bowl. Corn – When you think of plants to grow in containers, corn may not be the first crop to come to mind. However, corn can be grown perfectly well in containers, and since vertical space isn’t all that limited in an urban garden like horizontal space is, you don’t have to worry too much about the size of the plant. With all of that said, the best corn to grow in a survival garden isn’t the sweet corn you are probably used to – grain corn stores much better and has a wider range of uses. When choosing corn seed for your survival garden, any variety of grain corn should work well. Winter Squash – As the name suggests, winter squash grows well in the colder months, making it a great crop to rotate into your garden. Winter squash are also hardy and can be stored for up to six months after harvest. Some of our favorite varieties of winter squash for planting in a survival garden include acorn squash, butternut squash, and spaghetti squash. Kale – What kale lacks in calories it makes up in nutrition, providing you with a number of vitamins and nutrients that may be in short supply when the range of food options you have available becomes limited. What’s more, kale is relatively easy to grow and has a good yield. A couple great kale varieties to consider planting include Lacinato kale and Red Russian kale. Tomatoes – For the summer season, planting tomatoes is an excellent option. Though low in calories, tomato plants produce a great yield, and their largely vertical growth means they take up less space than you might imagine. Our favorite tomatoes for a survival garden are the large beefsteak tomatoes which include varieties such as Mortgage Lifter tomatoes, Caspian Pink tomatoes, and Big Beef tomatoes. Turnips – The value of planting turnips in your survival garden is two-fold. The tops of the plant (known as turnip greens) provide a ton of nutritional value while the tubers are storage-friendly and high in calories. Some of our favorite varieties of turnips to plant include White Knight turnips, Gilfeather turnips, and Market Express turnips. Beets – Beets offer the same advantages as turnips (nutritious greens and calorie-rich tubers) but with a growing season that extends later into the fall/winter. Some of our favorite varieties of beets to plant in a survival garden include Detroit Dark Red beets, Lutz Green Leaf beets, and Golden beets. Other Herbs and Veggies – Check out this list of herbs and veggies you can grow on your porch. Of course, keep in mind that these options are just a few of the many you have available. With the right care, most vegetables will grow nicely in containers, meaning that any plant that is relatively simple to grow and doesn’t require too much space is certainly up for consideration. In addition to the vegetables you plant for food, you may also want to consider planting a few companion plants alongside them. Companion plants such as mint, basil, and garlic help to deter insects from eating your plants while also serving as a source of seasoning for you to harvest as well. Once you’ve chosen the plants you would like to have in your garden and purchased your seeds, you will need to properly store those seeds until you are ready to use them. Most seeds will last several years in storage, though you will want to check the exact lifespan of your seeds as it can vary from plant to plant. To maximize the life of your seeds, store them in a cool, dry place in a closed container. If you have the freezer space, you can also freeze your seeds in order to drastically increase their lifespan. If you do freeze your seeds, though, you’ll want to be careful about exposing them to hot, humid air until they are completely thawed – just one blast of air that is too hot or too humid on frozen seeds can irreversibly damage them. Using commercial fertilizer is no-doubt the easiest way to fertilize your garden. However, it’s also expensive and, even more importantly, requires you to buy all of your fertilizer ahead of time. Nevertheless, commercial fertilizer is a valid option, and it’s a good idea to have a few bags of it around no matter what your main source of fertilization is. Keep in mind that are advantages and disadvantages to certain fertilizer types. Organic and solid fertilizers have a slow release, which can make it difficult if you are trying to quickly revive a starving plant. Meanwhile, non-organic fertilizers have a fast release, but add no long-term value to the quality of your soil. If you would like to be more self-sufficient with your fertilizer, consider composting. 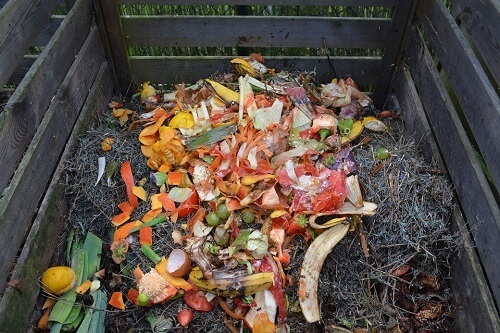 To start composting, all you need to do is collect organic waste then gather it together in a pile that is at least three feet deep. Ideally, your compost pile will be a good mix of green and brown material. You’ll then want to sprinkle water over your compost consistently so that it maintains the texture of a damp sponge. Once a week, stir up the pile so that oxygen is able to reach all of its contents. 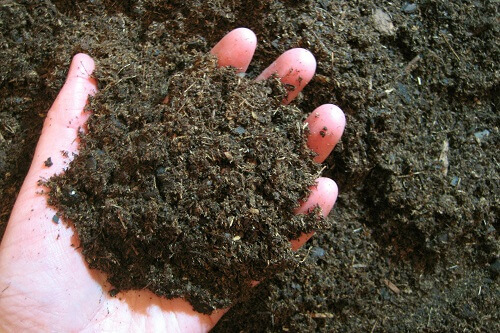 Once your compost is dry, brown, and crumbly, it is ready for use. Wormeries allow you to convert a large amount of waste into compost using only a small amount of space, making them an excellent option for urban gardeners. If you are interested in making use of a wormery, check out this kit on Amazon as well as this guide to creating your own wormery. Figuring out when to fertilize your plants and how much fertilizer to use isn’t all that complicated. Most of the time, you will need to add fertilizer to your containers every couple of weeks. However, this will vary depending on your plants and the fertilizer you are using. Look up the plants you intend to plant ahead of time and write down how often they require fertilization. When using commercial fertilizer, you can refer to the instructions on the package for how much to use. When using compost, you will want to cover the top of your container with a layer of compost that is a couple inches deep. If you follow all of the instructions up to this point as well as instructions specific to the vegetables you plant (such as planting instructions and how much sunlight and water they require) you will be fully equipped to start planting and harvesting vegetables. However, one thing you will certainly want to address is the length of your growing seasons and how they overlap. Consider, for example, a scenario where you don’t really have the ability to store your food for a long period of time. If this is the case, you can’t afford to have periods of the year where you are unable to harvest food out of your garden. Instead, you need to be consistently producing food all year long. With that in mind, here are a few tips you can use to extend your growing season and ensure that your garden is producing food year-round. Grow Winter Vegetables – When it comes to extending your growing season, it is the winter months that are of the most concern. Few plants do well in the cold months of winter, making it the season that is the most difficult to keep food coming in. However, some plants do just fine in winter, and you will want to be sure to have these available. Good winter crops include lettuce, winter squash, peas, and greens. Use Cloches – Cloches are small, transparent covers used to protect plants from the elements and extend their growing season into the winter months. You can make your own using plastic sheeting and wire, or you can buy plastic cake covers and use them. Cloches work best for extending the growing season of autumn-sown vegetables into winter. Buy a Miniature Greenhouse – You don’t have to have tons of space to make use of a greenhouse, as greenhouses of all shapes and sizes are readily available. In addition to extending the growing season of plants into the winter, greenhouses can also be used to grow hot-weather plants such as cucumbers and tomatoes. Grow Your Plants Indoors – Growing vegetables indoors isn’t exactly an easy feat. However, if you have the right skills and supplies, growing plants indoors can allow you to grow anything, no matter what the season is. But to be successful, you’re going to need some supplies such as grow lights and hydroponic systems, though choosing the right plants could at least partially eliminate the need for these supplies. For more information on growing vegetables indoors, check out this article. Growing food to survive isn’t an option limited only to those who live in rural areas – with the right supplies and preparation, any space can be turned into a functional survival garden. The most important thing to keep in mind when preparing your survival garden, though, is the fact that your life really might depend on it. There’s a big difference between growing a few herbs on your balcony and growing enough food to support you and your family. Treat every step in the process with care and precaution. Calculate how much food you need to survive, then calculate the estimated yield of your garden over the entire year, factoring in margins of safety to ensure that a simple mistake or a few dead plants won’t lead to starvation. If you treat every step in the process of planning and growing your survival garden with the care it deserves, though, you will be well on your way to planting a garden that is able to keep you and the people you care about most alive when all other sources of food are no longer available. Be sure to check out our gardening archives for a bunch of helpful articles.